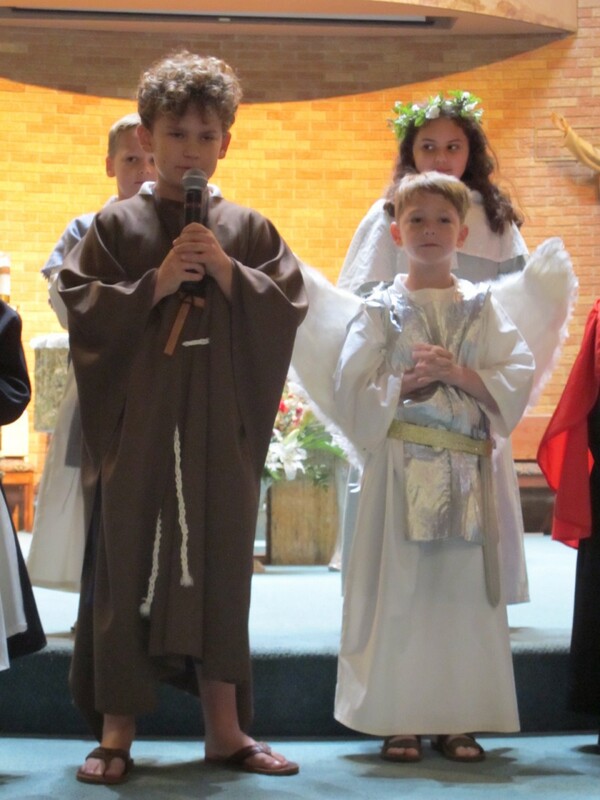 The OLF 2nd grade class gave a special performance after Mass in honor of All Saints’ Day. 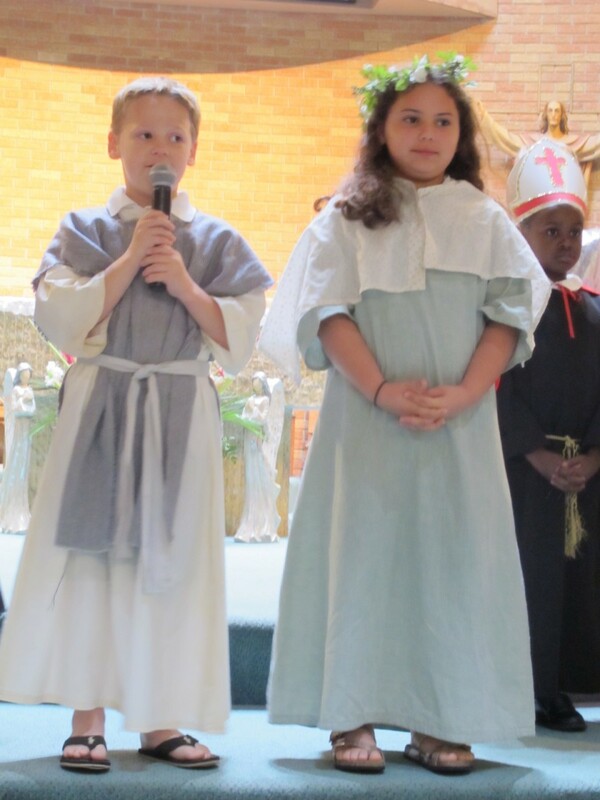 Each 2nd grader dressed as a Saint and gave a short presentation on the history of their chosen Saint including the feast day and why this individual was chosen as a Saint. “This is a great educational opportunity for the students,” said Ms Hahn, Principal of OLF Elementary. “The students learn about the history of the Catholic Church and present in front of a live audience. They gave an excellent performance.” More photos from this events may be found in Seen & Heard.